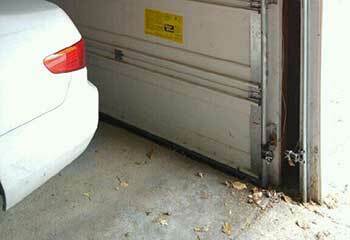 Our team will be happy to help you with any type of garage door related issue, from a broken cable to misaligned tracks. Our latest projects below are excellent examples of the different ways in which we can help. Customer Issue: Mr. Hatfield’s opener stopped working in the wake of a bad power surge. 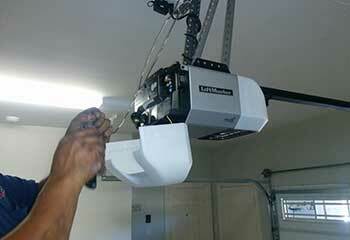 Our Solution: Fortunately, the customer’s LiftMaster opener’s self-diagnostic system told us what the problem was. Our team unplugged and opened it up to confirm the report, and then replaced the logic board and then tested the new one. Our Solution: The problem was obvious from the get go, as this type of scenario is usually the result of sensor related issues. The photoelectric eyes were, in fact, out of position, so we carefully realigned them and made sure the door was able to finally close without any issues. Customer Issue: Damaged and rusty track. Our Solution: One of the customer's vertical tracks was in bad shape, so we carefully removed it, installed a new more durable track in its place and then realigned it with the door rollers. We then made sure the system could open and close smoothly and that the rollers were properly lubricated. 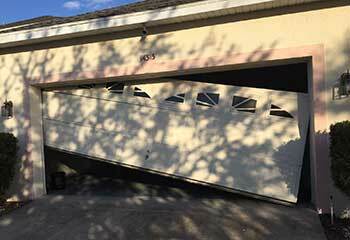 Customer Issue: Wanted a new door with better durability. 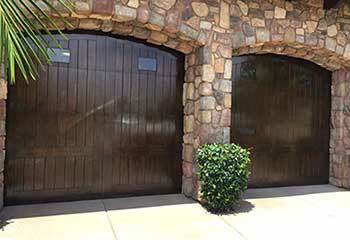 Our Solution: We offered the customer a new model from the Amarr® Lincoln steel garage door collection. He was pleased with the sturdiness the upgraded model presented, so we proceeded to disconnect and remove the old door and install the new one in its place.